Use of With Your Dog Limited is bound by the following 2019 Terms and Conditions. In order to use the Website, you must obtain your own access to the Internet and you are responsible for paying any fees connected with that access. With your Dog Limited is NOT responsible for the deletion or failure to store any services, content or data made available to you. We try, where possible to ensure the accuracy of the information contained in this website but do not guarantee the accuracy of the content or the reliability of this. For full detail regarding each show please see the official published show schedule. The terms and conditions may be updated from time to time without notice so please check back on a regular basis. You agree to provide With Your Dog Limited with current, accurate and complete information about yourself when registering. You are solely responsible for keeping this information current and accurate for use within this site. It is essential that your dog(s) details be given exactly as they are recorded with the Kennel Club. You may only use the system for registering your own and family members details (provided that they have granted their permission). If under 18 years of age you must obtain permission from a parent or legal guardian to register. You have full responsibility of the security of your Password and user ID and keeping your information accurate and up to date and for all activities that occur using your account and password. When entering a KC Licence Show the dogs entered must be registered at the Kennel Club in accordance with Kennel Club Regulations for Classification and Registration B. We cannot be held responsible for any errors or inaccuracies you provided when registering online and will appear in the show paperwork as the details you submitted. The show entry contract is with the organisers of the show, therefore, you are bound by the show specific rules and regulations. Any queries or comments regarding your entries after the closing date other than those relating to the website must be directed to the Show Organisers using the link on the show details screen. Entries will be accepted up until 12pm on the day of Entries Closing unless otherwise stated. We are unable to guarantee that the judge you book will be the one that you work under on the day of competition and your selection is only to show your preferred choice. Selection of judge is at the show organiser’s discretion. We are unable to guarantee any requests in the Notes section and the request ise at the show organiser’s discretion. Once your online entry has been submitted and your payment processed, you will be sent confirmation of proof of entry via e-mail. It is important that you retain this e-mail until after the Show. We charge an online fee to cover disbursement expenses incurred on behalf the show organisers. Family members or subsequent entries for the same show will not incur an additional on-line fee. To receive a Family Discount, you should book by paying for the show, after which you must start the 2nd booking - this will receive the discount. Entries started and not paid for, and therefore not booked, will not have the family discount deducted automatically. • A show in the checkout is not booked. • A show is only entered if it is paid for. • Do not use e&dash;cheques to pay for the show as it normally takes 5 to 6 days to clear, and the show may have closed before the payment is confirmed. The entry will not be included and therefore not booked. If you have enquiries on booked shows quote the transaction invoice number and the Unique PayPal transaction number. 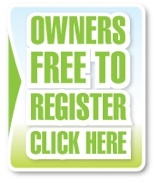 With Your Dog Limited acts as an online agent for Show Organisations by accepting and promoting online entries only. The show entry fees and online fee cannot be refunded or cancelled once entries and payment have been submitted to the show organisers (unless approved by show committee). In the event of a cancellation of the show for any reason, the entries will be refunded (less reasonable expenses incurred by the club) at the discretion of the show organisers. If this should occur we may contact you on behalf of the show organisers. If a competitor wishes to cancel a show booking, we will refund the show class entry fee. The refund excludes the initial online handling fee charged at the time of booking. To cancel the competitor has up to 30 days after booking, or before the show has closed whichever is sooner. Membership discounts should be claimed via email, up to 30 days after booking or before the show has closed whichever is sooner, after which you should contact the organiser directly. You can de-register (remove) your account or a dog from the database providing it has not been entered into a show. With Your Dog has the right to de-register and end an individual’s account in respect of misconduct. Security is paramount to us. We use Paypal the on-line automated clearing House. It works by temporarily redirecting your browser to the Paypal Site during the transaction that means both With Your Dog Limited or Show Organisers do not hold or store Credit, Debit or Bank Account details. All your dealings with PayPal take place over an encrypted, secure link. Your personal data and entry specific information submitted will be used by With Your Dog Limited and the Show Organisers ONLY for the purpose of processing and publishing entries. With Your Dog Limited will NOT pass your show entry details to other third parties. When registered to our site your email address is also used for us to send Promotional Emails. These emails are notification reminders of shows that are about to close for online booking. If at any time you want to be removed from the Promotional Email list, email geraldine@withyourdog.co.uk stating your registered name and that you wish to be removed. Please note, we may contact you via email for the specific show you have booked, if directed by the show organisers. ie if we are asked to email running orders for the booked show or if information changes regarding the show you have entered.